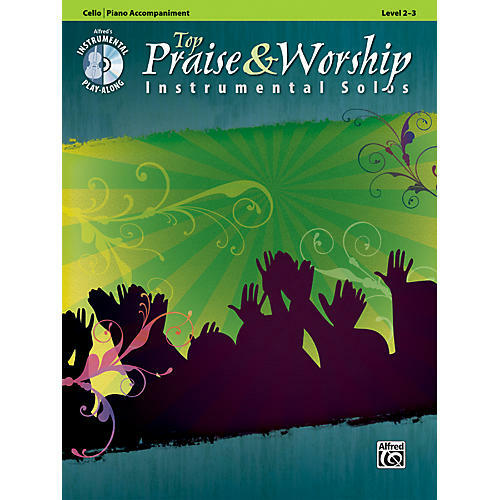 Intermediate and advanced cello solos from 13 highly recognizable praise & worship songs. Part of Alfred's Instrumental Play-Along series, the cello version of Top Praise & Worship Instrument Solos includes specially arranged cello solos of the most popular praise and worship music sung around the world arranged specifically for the Level 2-3 cello player. This cello music book comes with a play-along CD that includes a backing and performance track for each title. It also includes piano accompaniment to help in the learning process.